EAST NEW YORK, Brooklyn (WABC) -- A bus driver got the shock of his life when he spotted a boa constrictor aboard his B12 bus in Brooklyn. 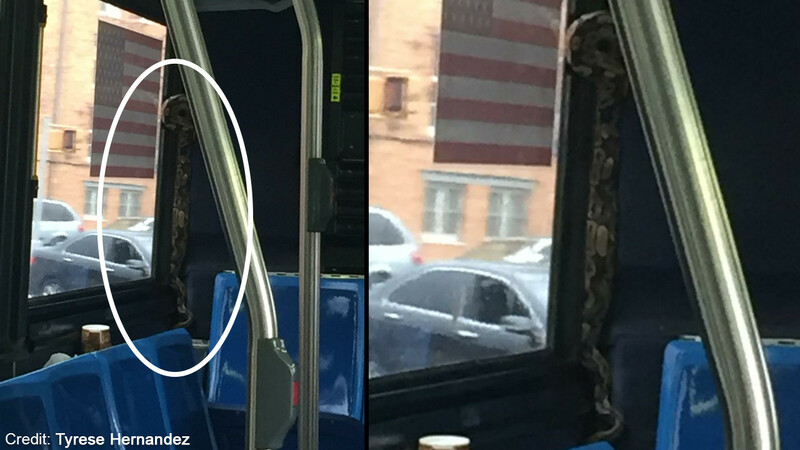 The bus had just left the East New York Depot on Saturday and was driving along East New York Avenue when the driver spotted the snake at around 1 p.m. last weekend. The driver brought the bus back to the depot where workers had to remove panels to get the boa out. The snake has been placed with one of Animal Care and Control of NYC's New Hope rescue partners. There's no word on how the snake got on the bus and where it came from.